Our next big weather maker arrives for midweek, but for most of us the biggest impacts won't come in until overnight Wednesday into Thursday morning. Cooler air follows on Friday. Right now Easter weekend is still looking great with warm and dry weather expected. Clouds will increase overnight, but expect to stay dry. Temperatures will settle back into the low 60s. We’ll remain mostly cloudy tomorrow, but rain should stay limited to just a few showers and storms around the I-30 corridor. A strong storm is possible here by early evening, but the greatest risk of severe weather won’t come in until around midnight. Highs tomorrow will be back in the upper 70s to low 80s. 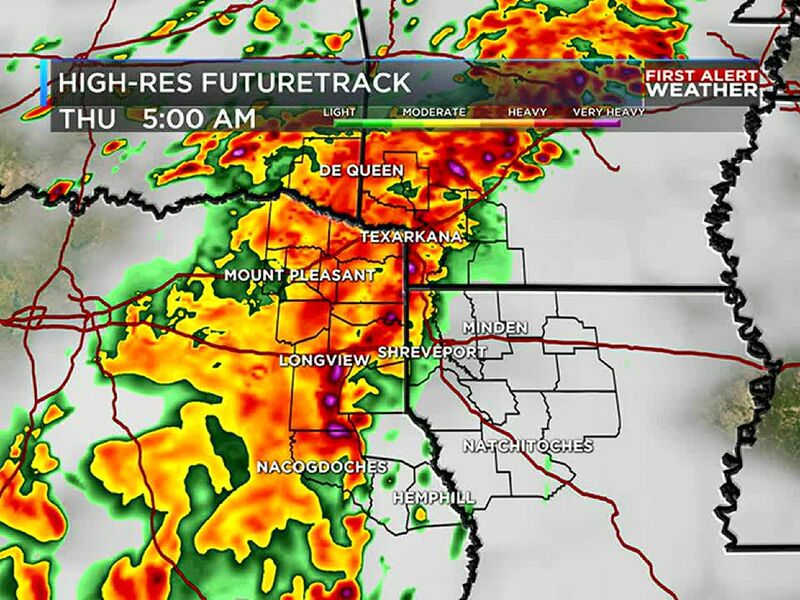 A line of strong to severe storms is likely to move across the ArkLaTex after midnight Wednesday night into Thursday morning. Damaging wind and hail are the main concerns, but an isolated tornado spin-up can’t be ruled out. Heavy rain could also lead to localized flash flooding. 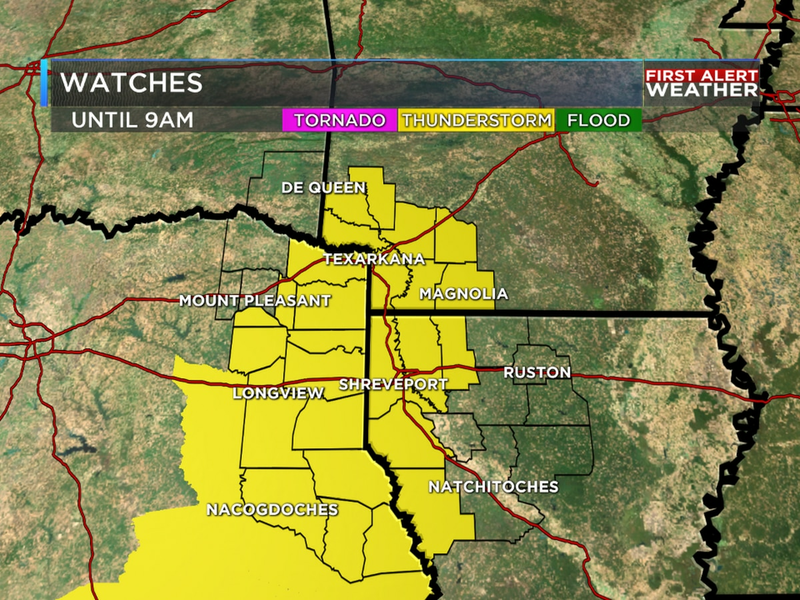 Showers and storms will continue during the morning hours Thursday, but the severe weather risk looks low. By afternoon some clearing is possible with highs in the low 70s. Friday is looking sunny and dry. After a chilly start in the upper 40s we’ll warm to near 70 by afternoon. Easter weekend is still looking great! Expect sunshine and dry weather with afternoon temperatures in the upper 70s to low 80s.